Last September, my partner and I were attacked in Brussels by taxi drivers because we used Uber. We had landed in Charleroi airport on a late flight from Sarajevo and taken the bus to Gare du Midi in Brussels, arriving well after midnight. We called an Uber, and as we loaded our backpacks into the trunk, a large group of men approached us from the taxi rank, shouting angrily. Not wanting trouble, we hurried into the car as they gathered around it, but no sooner had we shut the doors than one of them opened the trunk. I got out to close it again, which meant getting past the gentleman who opened it. He decided the best way to advance his cause was to punch me in the face, while some of his colleagues grabbed me from behind and others formed a snarling pack around me. A few taxis boxed-in the car, and we were trapped. My partner called the police. When the officers arrived, they checked our driver’s papers before sending him away, but did not try to disperse the mob. They shrugged off my complaint of assault because, they said, I lacked a hospital report. (In Belgium, officials’ reverence for paperwork often leaves newcomers dumbfounded.) The police suggested we ride with the men that attacked us, who by then were carnivorously urging my partner to go with them alone. Sensing the officers’ priority was to maintain good relations with these white knights, we walked to the other side of the station and called another Uber. Thus had these noble gentlemen exerted themselves for naught. Taxi drivers are furious with Uber, which they struggle to compete with because its more efficient platform allows lower fares, easier use, and better monitoring. Taxi drivers worldwide have used various tactics against Uber, from lobbying politicians and filing lawsuits to blocking highways and boxing-in cars, sometimes attacking the people inside. In Europe, taxi drivers seem to be winning, as one place after another bans Uber. Barcelona’s taxi unions recently won a case in the European Court of Justice (ECJ), which ruled that Uber is a transport service. People do use the app to get around, but that ruling means Uber is not protected by free trade provisions in the EU treaties. Member states can therefore ban the company’s services and local authorities can protect taxi cartels, unless national law says otherwise. Most anti-Uber protests in Europe have been non-violent, but the riots in France in June 2015 are an appalling exception. Taxi drivers set fire to cars and assaulted Uber’s drivers and passengers. The violence prompted a perfunctory condemnation from then-president François Hollande, who followed up this throat-clearing with a clamp-down on Uber’s services. I was in Budapest the following spring, when taxi drivers blocked the main highway from the city to the airport in Ferihegy, though they behaved better than their French colleagues. I had intended to take a taxi to the airport that day—but since they were busy blocking the highway, I called an Uber and took the scenic route. Hungarian authorities forced Uber out soon after. One could ask what policymakers might do if Uber drivers blocked highways in Hungary or torched cars in France. Uber is legal in Brussels, but there have been several reports of harassment by taxi drivers. Soon after our experience, Uber’s former EU chief told Belgian reporters that taxi drivers had boxed him in at Gare du Midi. In November, a taxi driver allegedly trapped and abused a group of Mexican diplomats for using Uber. About a week ago, an Uber driver told me a taxi driver threatened him with a knife: Given what happened in September, I am inclined to believe him. Also in September, a court ruled that taxi drivers at Gare du Midi violated competition law by pestering travelers headed for the Charleroi airport bus with offers of individually-priced seats in shared taxis. This is odd behavior from people who say an app that links drivers with passengers is unfair competition. Perhaps they believe the economies of scale that make bus services cheaper than taxis are unfair too. None of this is to say Uber should operate illegally, but transport regulations need to catch up with new technology. 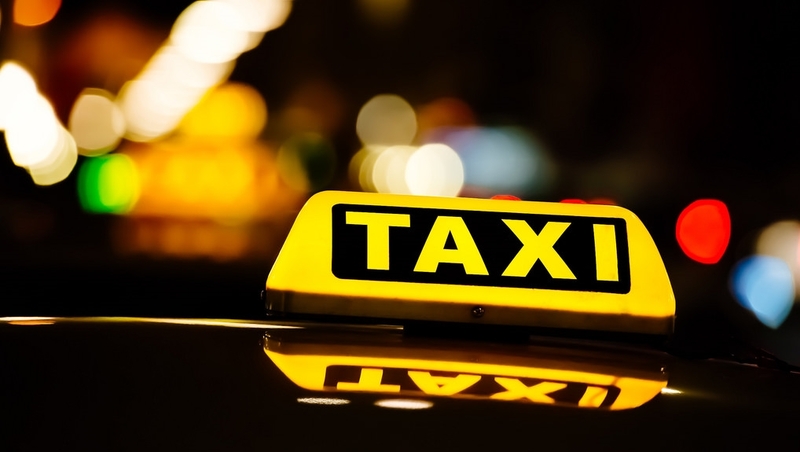 The original purpose of taxi licensing was to stop dangerous people driving taxis, but besides failing to do this on too many occasions, licensing regimes often shield incumbents from competition. Uber’s platform automatically logs the details of every trip, which provides reassurances for both passengers and drivers. Uber’s impact today barely hints at how technology will change the taxi trade. Claims that machines will replace all human workers are overblown, but drivers’ jobs will evaporate sooner or later because driving is easier to automate than, say, haircuts. Governments will have to help drivers find new careers. But if some drivers resort to intimidation and coercion, public sympathy for them will erode. After all, even if humans drive taxis for another century, how likely do you think I am to ever take another one in Brussels?